This TurboVent drying system by Dri-Eaz is meant to be used with one of our Dri-Eaz Sahara carpet dryers (listed below). 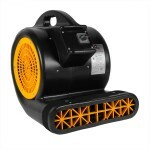 It is great for drying multiple areas at the exact same time. 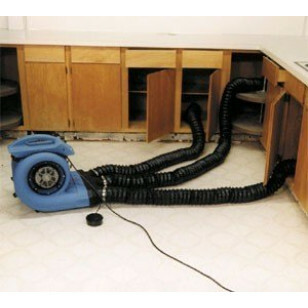 Works great for drying things like cabinets, underneath stairs, around bathtubs, and in confined areas. Drying wet and moist areas prohibits the spread and growth of mold and mildew. If you do experience any mold growth, we recommend treating the area with our Milgo Plus Antimicrobial Sanitizer, after completely drying out the infected area. This is a review for the Dri-Eaz® TurboVent® Cabinet Drying System.